Jonathan Bion "Jon" Provost (born March 12, 1950, Los Angeles, California) is an American actor, best known for his role as young Timmy Martin in the CBS series, Lassie.At the age of four, Provost was cast in the film The Country Girl (1954), starring Bing Crosby and Grace Kelly. He then appeared in Back from Eternity (1956) with Anita Ekberg and Escapade in Japan (1957), with Teresa Wright, Cameron Mitchell and an unknown (and uncredited) Clint Eastwood. 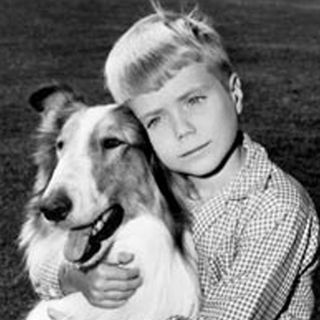 In 1957, Provost won the ... See More role of Timmy Martin in the CBS television series Lassie. He joined the show at the top of the fourth season as co-star to Tommy Rettig, Jan Clayton, and George Cleveland. Midpoint in the season, George Cleveland died and the show was completely revamped with Provost becoming the primary human star after the departures of Rettig and Clayton. The following year, he met June Lockhart on the set, who would play his mother, Ruth Martin, on the set, and would remain close friends. On December 25, 1958, Provost and Lassie were holiday guests on NBC's The Ford Show, Starring Tennessee Ernie Ford. This was the only time of the five years that the Ford program ran that an episode actually aired on Christmas Day. Ford sang the carol "Some Children See Him" for the first time on this episode.For seven seasons, 1957–1964, audiences grew to love Timmy and his adventures with Lassie. Timmy's canine companion was played by three dogs that were all descendants of Pal, the original Lassie from the MGM films: Pal's son Lassie Jr. and his grandsons Baby and Spook. In a 2014 interview, Provost said: "I worked with Baby for five years straight. Obviously, he and I really bonded. He was my favorite and I also thought he was the most intelligent of the ones I worked with. They were all great dogs." In 1964, however, Provost was fourteen and chose not to renew his contract though Campbell's Soup Company, the sponsor, wanted three more years. With Provost out of the series, the format of the series was revamped. The Martins were sent to Australia to teach agriculture while Lassie was forced to remain in the United States because of quarantine regulations. Robert Bray was then cast as forest ranger Corey Stuart, and became Lassie's new owner. Provost continued working in television and in films, including "This Property is Condemned" with Natalie Wood and Robert Redford and "The Computer Wore Tennis Shoes" with Kurt Russell. Jon left Hollywood for college at Sonoma State and chose to remain there, returning for occasional roles. Later, he sold real estate in Sonoma County, California and donated his time to various causes. In 1990, Provost was honored by the Young Artist Foundation with its Former Child Star "Lifetime Achievement" Award for his role as Timmy Martin on the original Lassie series, and in 1989, he returned to television with a recurring role on The New Lassie series as real estate agent Steve McCullough. In a nostalgic episode, he appeared together with Tommy Rettig. In another episode, June Lockhart reprised her role as Ruth Martin. In that episode, it was revealed that Timmy was never properly adopted by the Martins and was forced to remain in the U.S. when his foster parents moved to Australia. He was then subsequently adopted by the McCullough family and began going by his middle name of Steven.